In cloud developer circles, GitLab is a popular DevOps lifecycle tool. It lets you do everything from project planning and version control to CI/CD pipelines and monitoring, all in a single interface so different functional teams can collaborate. In particular, its Auto DevOps feature detects the language your app is written in and automatically builds your CI/CD pipelines for you. Google Cloud started the cloud native movement with the invention and open sourcing of Kubernetes in 2014. Kubernetes draws on over a decade of experience running containerized workloads in production serving Google products at massive scale. Kubernetes Engine is our managed Kubernetes service, built by the same team that's the largest contributor to the Kubernetes open source project, and is run by experienced Google SREs, all of which enables you to focus on what you do best: creating applications to delight your users, while leaving the cluster deployment operations to us. Today, GitLab and Google Cloud are announcing a new integration of GitLab and Kubernetes Engine that makes it easy for you to accelerate your application deployments by provisioning Kubernetes clusters, managed by Google, right from your DevOps pipeline supported by GitLab. 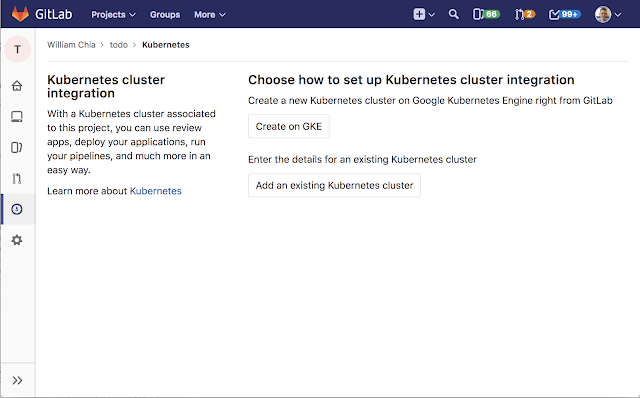 You can now connect your Kubernetes Engine cluster to your GitLab project in just a few clicks, and use it to run your continuous integration jobs, and configure a complete continuous deployment pipeline, including previewing your changes live, and deploying them into production, all served by Kubernetes Engine. Head over to GitLab, and add your first Kubernetes Engine cluster to your project from the CI/CD options in your repository today! The Kubernetes Engine cluster can be added through the CI/CD -> Kubernetes menu option in the GitLab UI, which even supports creating a brand new Kubernetes Cluster. Once connected, you can deploy the GitLab Runner into your cluster. This means that the continuous integration jobs will run on your Kubernetes Engine cluster, enabling you fine-grained control over the resources you allocate. For more information read the GitLab Runner docs. Even more exciting is the new GitLab Auto DevOps integration with Kubernetes Engine. Using Auto DevOps with Kubernetes Engine, you'll have a continuous deployment pipeline that automatically creates a review app for each merge request a special dynamic environment that allows you to preview changes before they go live — and once you merge, deploy the application into production on production-ready Google Kubernetes Engine. 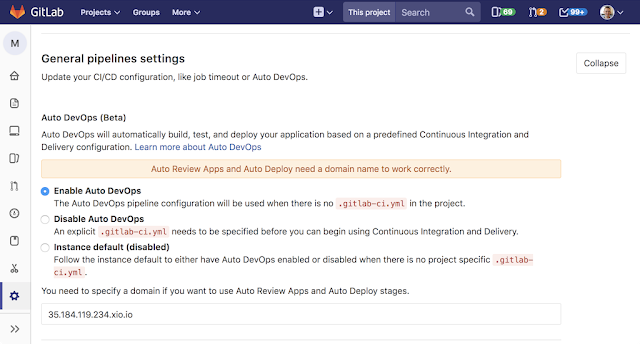 To get started, go to CI/CD -> General pipeline settings, and select “Enable Auto DevOps”. For more information, read the AutoDev Ops docs. 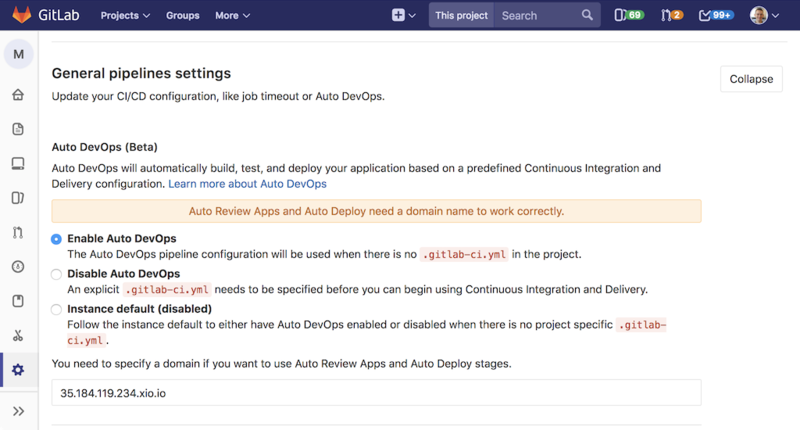 Auto DevOps does the heavy lifting to detect what languages you’re using, and configure a Continuous Integration and Continuous Deployment pipeline that results in your app running live on the Kubernetes Engine cluster. Now, whenever you create a merge request, GitLab will run a review pipeline to deploy a review app to your cluster where you can test your changes live. 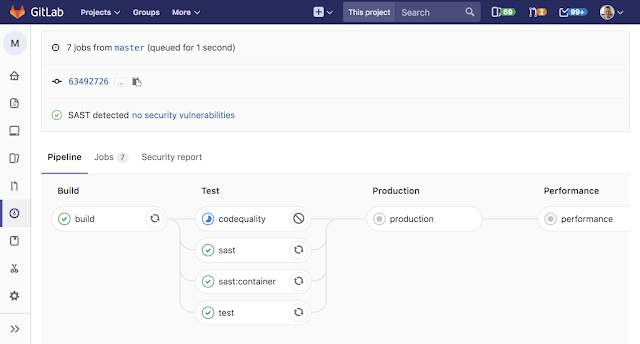 When you merge the code, GitLab will run a production pipeline to deploy your app to production, running on Kubernetes Engine! Want to learn more? We’re hosting a webinar to show how to build cloud-native applications with Gitlab and Kubernetes Engine. Register here for the April 26th webinar. Want to get started deploying to Kubernetes? GitLab is offering $500 in Google Cloud Platform credits for new accounts. Try it out. This entry was posted in Google Cloud Platform Blog and tagged Announcements, Compute, Google Cloud Platform, Open source on April 5, 2018 by GCP Team.